There are people who believed that on the tragic day of August 21, 1983, Marcos was bedridden with failing kidneys because of lupus (or due to stressful life, not lupus according to JPE’s Memoirs) and therefore he could not have ordered the ‘murder’ of the popular oppositionist former Senator Benigno Aquino Jr. But Marcos was not always hobbled in his sick bed. Twice a week, he had his dialysis at Malacanang and therefore, he was very much in command prior to Aquino’s coming. He could have ordered his political nemesis eliminated or had made an unofficial body language of his desire to get rid of the popular Ninoy to his underling, Gen. Fabian Ver. “Abadilla’s mission and other evidence lead one diplomat, who was in a senior position in the embassy at the time of the assassination, to conclude, ‘It was Marcos. He wanted to get rid of him [Aquino]. In effect, there was a standing order to shoot on sight. The order had gone out to take care of Aquino. It wasn’t an order to kill him at the airport.” The operative words may well be the last three. Marcos wanted Aquino killed. But he didn’t give the order to do so at the airport” (Waltzing With A Dictator, Raymond Bonner, p. 351-52). In other words, the order was to kill Aquino discretely! Besides, Marcos dialysis could have been timed at Ninoy’s coming and his being heavily sedated on that day was a masterful stroke to mislead the public of his ‘participation’ in this dastard criminal act. It was a very Marcosian gamble! ‘”It was traumatic.” To him the assassination was “an illustration of a government out of control.” It was not just that the government believed it could get away with the most brazen activity.” What compounded Armacost’s reaction was that they “didn’t even care about the consequences.” (ibid, p. 357). Why It Is In The Personality of Marcos To Order Ninoy’s Assassination! Marcos was a very scheming person, ruthless and vindictive. Mayor Arsenio Lacson of Manila who was a member of the defense team of Marcos for the murder of Congressman Julio Nalundasan believed that he killed the late congressman in 1935. “Di puta gid, yawa.” If that guy ever becomes President, God save the Philippines!” swore the irrepressible Lacson. Why hijo, what has come to you? “You mean Ferdinand Marcos has declared that he is seeking the presidency of the Philippines? Did he say he was joking, Arsenio? At this point, Lacson finally took notice of his wife and faced her. “Yes, hija, that pug-nosed killer of Nalundasan had the gall to come here and proposition me into teaming up with him for a crack at the leadership of this country”. It was on an early morning in later March 1957, hardly had a shocked and grieving nation buried its most beloved of all Presidents, Ramon F. Magsaysay, when Ferdinand E. Marcos paid a visit to Lacson at the latter’s residence on M. Earnshaw Street in Sampaloc, Manila. Marcos then completing his second term as congressman for the second district of Ilocos Norte said he was advised by “Papa Laurel” to propose to Lacson the formation of a “dream presidential ticket” which would have the support of the politically-powerful Laurel clan. “Yes, padre, I will subordinate myself to you. I will be your vice presidential running mate – on condition, that you will pledge not seek reelection, if our team wins.” Lacson quoted Marcos. Padre, puro ka biro, eh. Kalimutan mo na iyan kalokohan natin, nakaraan na iyon.” Marcos cut in. Lacson boomed: “I am not kidding Ferdinand, I will not do anything which would in any way help you become President of this country. As a matter of fact, I make this promise. You can become President of this country only over my dead body. (Conjugal Dictatorship of Ferdinand and Imelda, by Primitivo Mijares, p. 234-36). Unfortunately, Mayor Lacson died of heart attack on April 15, 1962. “Marcos pressed a button in his intercom, and when an ever ready aide responded to say “yes, sir,” he commanded: “Get me Secretary Enrile.” And then with his line to the communications room aide still open, Marcos muttered to himself: “Masyadong mabagal ng mga taong ‘yan Kung kailan pa naman kailangan magmadali. Within few minutes, he determined that his secretary of national defense, Juan Ponce Enrile, had left his office at Camp Emilio Aguinaldo rather early in the day. He was located by Sgt. Arturo Boquiren, agent on duty at the communications room near the President’s Study Room, in the house of a “friend.” Somewhat irritated, Marcos ordered Enrile in the following manner: “Secretary Enrile? Where are you? You have to do it now.. ya, ya, the one we discussed this noon. We cannot postpone it any longer. Another day of delay may be too late.” Continuing his orders obviously after being interrupted with some remarks by Enrile, Marcos went on: “Make it look good. Kailangan seguro ay may masaktan o kung mayroon mapatay ay mas mabuti. (May be it would be better if somebody got hurt or killed). … O hala, sigue, Johnny and be sure the story catches the ‘Big News’ and ‘Newswatch’… and call me as soon as it is over.” (ibid, p. 49). That Marcos had a soft heart for innocent people being killed is not in his personality! What happened to Mijares and his family after his defection to the U.S and later writing his book was more gruesome. The publication of Mijares’s book Conjugal Dictatorship on April 27, 1976 arouse a firestorm of outrage at Malacanang – Mijares raked up just enough of the Dovie Beams affair, torture by Ver’s thugs, and the faking of Marcos war record to cause acute embarrassment. But Conjugal Dictatorship was systematically plundered from every book store and public institution in the United States, including the Library of Congress. Eight months after his book vanished Mijares himself disappeared. The last anyone heard of him was a cryptic letter, postmarked Honolulu. He wrote to columnists Jack Anderson and Les Whitten that he was about to take off on “a daring sortie to the Philippines… For security reasons,” he cautioned, “I would request you to breathe word of this daring trip to anyone until I can call you by phone. Or I’ll send you proof from Manila, a letter with this.” He drew a star with a circle around it. “Wish me luck,” he added. Mijares phoned his wife, Manila Judge Priscilla Mijares, saying he was taking a Pan American flight to Guam. According to subsequent investigations, Mijares left in the company of Querube Makalintal, a Marcos intelligence officer posing as a revenue attaché at the Philippine Consulate in San Francisco. Fabian Ver also was in San Francisco, had been in touch with Mijares, and was seen boarding the same Pan Am flight to Guam. When her husband vanished, Judge Mijares began her own investigation. She determined that Ver and her husband flew to Guam, and then boarded a Philippine Air Lines flight to Manila. Mijares and Makalintal joined Ver in the first-class section of the plane, she said. It was only after the flight landed at Manila International Airport that her husband disappeared. She said that NISA agents took Mijares to Ver’s headquarters at Fort Bonifacio, where he was put in a dungeon where political detainees were kept for long periods. A jailer she knew told her that he saw her husband there. “If you knew all this about Mijares,” Psinakis said, “why did your husband make him his top media man as well as the official censor of the martial law regime?” Imelda changes the subject. (ibid, p. 275). Martial Law and The Illusion Of Prosperity! ← The RHB Debate Rages! If ill be a fool i might believe you but since i have my own believed and understanding with the fact and some evidenced that will completely support my believed..The American Diplomats are already on stage of accomplishing their real Agenda of Taking out Marcos for the exchange of Bullion of Golds that was Deposited on USA.beside US.secretly Trained heherson Alvarez and its group I called it group 5..since it was all Phil.ams that was Conspired to to the Job..to bombed and to killed..any-one that stand on their ways will be eliminated..so at that time when they can see the chance its seem the Timing and the Person involved would be a perfect for the role..2 birds for 1 stone..NINOY will be dead..so Marcos will be Gone too.and they can have a chance to robbed him not only him but the Whole Nation since this Gold is being set aside By Marcos to fund the Second Nuclear plants..when the right time is come..all the person that was trusted to guard that Gold was perished and gone.. since they cant even claimed it anymore the US forfeited the GOLD deposited from them..the group 5 names ..ALVAREZ-SPINAKIS..husband of LOPEZ..daughter..3rd AVILA 4th.DAZA 5th Galliego..this 5 person must be Indicted for their TERRORIST act and Bring Destruction to some Malls and Stablishment..but most of all to those been wounded and died for their greed in Power & wealth. The grammar is incorrect and the message seemed garbled. We who have lived and experienced what’s like during martial law knew already that Ninoy was never been killed by Rolando Galman. 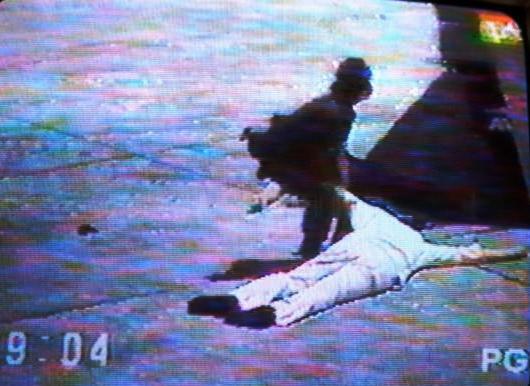 How could Rolando Galman fly at the tarmac to shoot Ninoy? It’s only Imelda and her siblings who believed that the killer was Galman. Until NOW they – especially Bongbong continued to wash their hands and still enjoyed the fruits of their RICHES FROM GRAFT AND CORRUPTION. Even Bongbong stated that the Philippines could have been like Singapore had his father lived longer. We can still be like Singapore now IF ONLY THE MARCOSES WOULD RETURN ( very unlikely ) WHATEVER THEY STOLEN FROM THE FILIPINO PEOPLE. It’s only Imelda and her siblings who believed that the killer was Galman. I beg to disagree…the whole family knew that Marcos himself masterminded the whole affair of assassinating Ninoy. I hope the Filipino people will not ever forget what the Marcoses have done to them. Next year there will be another election, I pray that no one among the Marcoses will be elected, in the national level, at least. Gripping read, for sure. I wonder why it is that Ms. Marcos is in the House and Enrile leads the Senate? Filipinos are infinitely forgiving? They buy their way in? People are afraid of them? People like tough people as their leaders? People aren’t very aware of things? It makes no sense to me, the outsider. yes, joeam – money can repackage a destestable image. Because many are simply uninformed and at the same time impressed by whatever actions taken by the Marcoses to build themselves us in the public eye. Those actions can be perceived as the actions of a strong leader, the kind that the uninformed wants to rule (like Putin for example). One of the big risks of a democracy when a lot of voters are uninformed and unwilling or unable to get informed. Check out the comment section. A little more details on Mijares were revealed, particularly an unfinished book. Your blog post deserves a Bookmark. The Philippines should never forget the lives victimized by the Marcos regime. yes, i read your article because it was shared by a classmate dan amosin in his facebook page. thanks for dropping by. me too. i have a copy of conjugal dictatorship by mijares and it was quite expensive. above comments: too much talking! come on!! be true to your selves!! you’re aspiring to be in power too??? what you guys can do to your country??? WHAT HAPPENED NEXT AFTER MARCOS REGIME??? It’s all about economy crisis, poor Philippines!!! Look at our neighbor countries!!! open widely your eyes where is the Philippines now?? Again, you will say, because Marcos corrupt the Philippines?? Why Marcos still on the throne of senate, congress? ?simply because people love them more…. Experts say that those wealth could have prevented the massive poverty of the country and could have elevated the status of RP like Japan, economically. Japan was able to rebuild itself after the war because they used the loot that they were able to ship to Japan while the war was going on. But they were not able to ship everything to Japan. They left a bulk of the looted treasures in the Philippines in various tunnels, which Marcos had assidously looked for. He kept secret of the recovered treasures and hid them to foreign banks after resmelting them using an American expert who narrowly escaped from death to ensure that no leak about the treasure comes out. Fascinating. So I can stop digging up my property looking for Yamashita’s gold? Who was the American and what happened to him? Did he ever report on his activities? Thanks. I’ll look for it for sure. I’ve added your site to my fantastic new “Philippine Blog Center” blog listing. You do good, fresh, impactful writing. More, more! Maybe replace your entire blog roll, which is a tad outdated, with a link to this site, eh? Bonjour my name is June and I’m a blogger and this blog really helped me. I’m enthused! Thanks very much! believe anything that makes you sleep tight at night. it is given that every person has perception that suits his own bias. this blog stopped me from finishing my article which is due for me to graduate. nevertheless, this is very helpful and a great eye- opener. may i just confirm if the querube makalintal mentioned and the former CJ Makalintal are one and the same person? According to an article by Raissa Robles, this Makalintal is the nephew of CJ Querube Makalintal of the Supreme Court. Not the justice himself. I am about to believe that Marcos has really nothing to do with Ninoy’s assination but after reading this blog, it has made me think again. Thanks! Wrong. The mastermind for hte NInoy Aquino assasination were the Cojuangcos themselves. My story was taken from one of the accounts of an ex-communicated member of the Cojuangco family. The elder states: Before Ninoy returned to the country he recieved a phone call from first his wife and then from the head of the Cojuangco family. It was then that he was informed of the grand plan. This was all staged for as a last resort of swaying and pushing the people to the side of the Aquinos-Cojuangcos which also initiated the EDSA Revolution earlier planned by the two families. Ninoy was aware that he would die. But because of his pride and ego he did not want to lose to Marcos one last time. Eventually he ultimately decided to push through with the plan and accepted his fate thinking it would benefit his family and their cause (To make sure that the few elites remained in power and that their lands in Tarlac remains theirs.). It is no secret to everyone that FM and NA were close friends. Back when Ninoy was imprisoned FM would visit him and you would hear them laughing out loud while talking to each other everytime he paid Ninoy a visit (This are statements according to BBM and a former security detail assigned to FM back in the day.). During the time of the Martial Law where the government was being antagonized. It was very easy to fault the government. pag masama na ang tingin sau ng mga tao, lahat ng kasalanan na iparatang sau kahit hindi ikaw ang gumawa ay papaniwalaan ng mga tao. And this was the main weapon used by the enemies and detractors of FM. The CIA had its hand on this too. When FM started going against the plans of the U.S. government they decided it was time to drop him. And they assisted in making FM look bad and helped the Aquinos get into power. They did not care what happens to our country afterwards. What matters is that our country stayed poor and in debt to them.. Now all this comes together. Add in a nation brainwashed by the media to believe that FM and the Martial Law was pure evil. (Take note: The Lopezes owns ABS-CBN and Meralco. Now if the Bataan Nuclear powerplant got commissioned it was clear that Meralco would run out of business since the national power grid will be 100% governemnt run. And the state run media would take over ABS-CBN in the event they started losing money. It was something Lopez dreaded so much. Now he also has his hand in all the lies and deception of making the entire nation believe that FM was evil. Up till now they have to maintain their stance, otherwise face the wrath of the People if the truth comes out.